I’ve been updating numbers on the website for the last few hours, but reading through so many of the e-mails that I’ve received, I feel like I have to write this blog post. I’ve written about this particular topic a few times in the past. Basically, I don’t provide a telephone directory service here, so e-mailing me demanding that I publish a geographic alternative for some company that you’re looking for, or claiming that it’s unreasonable that I don’t provide a geographic alternative for some company or another, means that I’m probably just going to delete your e-mail. I do this in my spare time, and for the most part, most people using this website understand that, and help out. And I try to help people help themselves – when someone e-mails looking for a number, and they receive the automated e-mail politely giving instructions on how they could find the alternative themselves. I do ask in that e-mail, that if they do find the geographic alternative themselves, that they e-mail back letting me know so that I can publish the number and share it with everyone else. 5%. That’s the number of people who’ve requested a number, follow the instructions on the e-mail, and then e-mail me back with the number to share with everyone. Someone recently asked in a comment what the geographic alternative for the Parcel Motel was. To be fair, there was no alternative number available anywhere on their website. I found the number sometime after midnight on a Wednesday using Twitter. Simples. As coincidence would have it, a couple of weeks ago on ValueIreland.com, I wrote about Pinergy and the other pre-pay electricity providers popping up here in Ireland, Pre-paying for your electricity is unlikely to save you money. I have to say, I’m not a fan because of the implications that pre-paying electricty is cheaper rather than the fact that it’s actually more expensive. To me, it’s sort of preying on those who have little finances to play around with already. 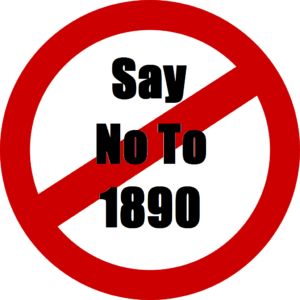 Now, technically, calling a CallSave number (1850) will generally be cheaper than calling a LoCall number (1890), so consumers won’t be disadvantaged by this carelessness, but to me it’s just a bad sign. This is a company who’ve paid for national TV advertising, and they can’t get a simple thing like this right. As a matter of interest, instead of calling 1850945020 (as in the advert) or 1850945021 (from their website), you could try calling their head office on 029 50830 instead and asking to be put through.